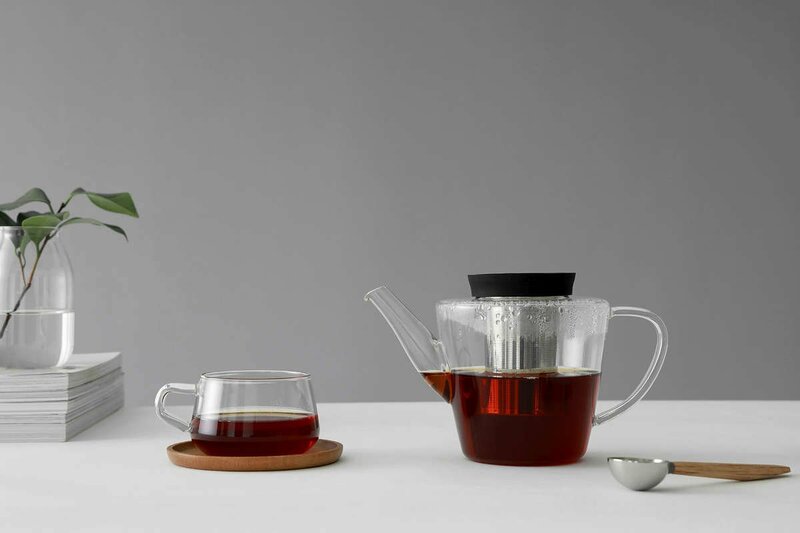 Make badly brewed cups of tea a thing of the past with the Infusion Glass Teapot. Experience flavour like you never have before. With the fine mesh stainless steel infuser, nothing but goodness will be released into your teapot. Bring back the magic of tea. Size: L: 23.0 cm - W: 13.0 cm - H: 12.9 cm - Vol: 1.20 L / 40.50 fl. oz. Life is about simple pleasures. Sand between your toes. A cool breeze on a summer’s day. And, of course, a perfect cup of tea. When tea bags aren’t good enough and your old teapot isn’t cutting the mustard, you need something new. Something reliable, beautiful and as close to perfect as an object can get. 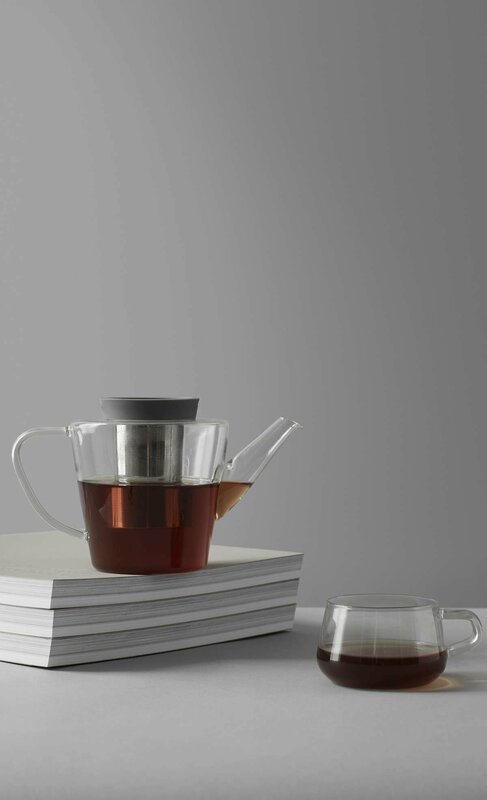 Minimal and intelligent design is what the Infusion Glass Teapot is all about. 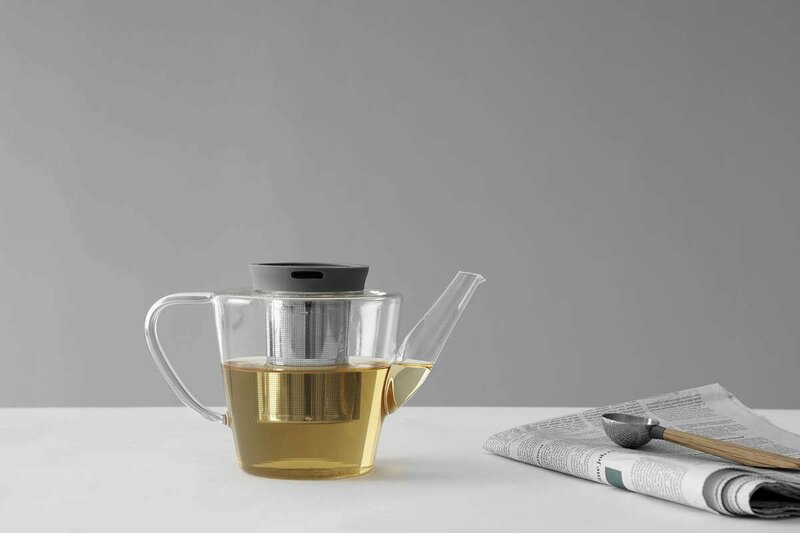 This Red Dot Award winning teapot knows how to produce flawless tea. The fine mesh stainless steel strainer allows your loose leaf tea to float freely and steep to perfection. Then once it’s to your liking, the specially designed spout results in drip-free pouring so you won’t waste a single drop. Watching your tea brew in this transparent teapot is almost as enjoyable as drinking it. See the water spring to life as colour appears and deepens. Tea brewing has never been so invigorating. Bring pleasure back into your life. Drinking tea is already feast for the senses. The warmth of a fresh cup in your hands, the earthy smell of the leaves, and of course the wonderful flavours of your favourite blend. Having a glass teapot adds a whole new dimension of enjoyment by being able to see your tea coming to life. Watch the colours change and deepen as the aromas build and your tea reaches its perfect intensity. The infuser is very easy to remove. Simply pull up on the silicone cap to remove it from the body of the teapot. The stainless steel infuser can then be placed on a saucer or into another vessel to prevent your tea from over-brewing. What types of tea are best to brew in this teapot? This teapot is ideal for a wide variety of tea. We highly recommend using it for black teas, as the water transforms into a lovely golden colour. Green tea and floral tea also work particularly well. 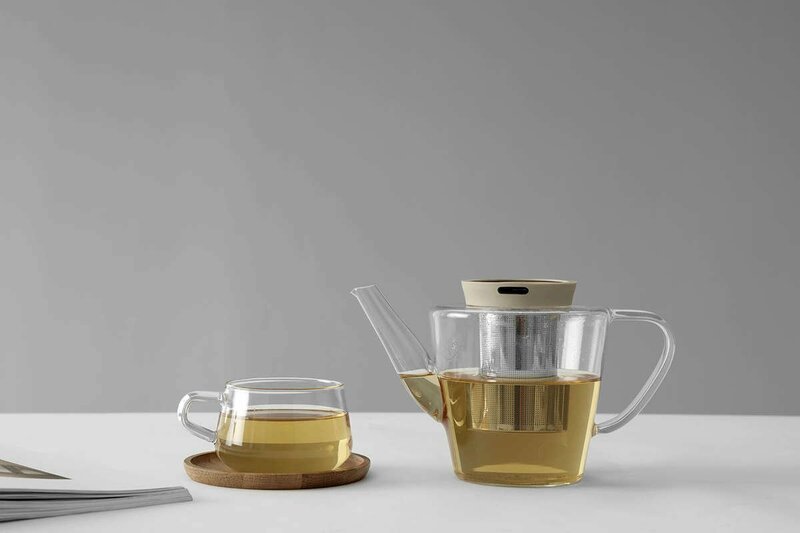 If you’re feeling adventurous, our specially designed stainless steel infuser has a delicate mesh for brewing finer leaf teas, like Japanese Sencha. Can I use the teapot without the infuser? Of course! The infuser can be removed for easy cleaning or to brew your tea directly in the body for the teapot. The choice is entirely up to you. Even though the teapot is made from our premium Vitriluma borosilicate glass, we recommend you do not use this teapot on a stove-top or in the microwave. For best results, boil your water in a kettle, and pour boiling water into your teapot, where your tea can be conveniently steeped and served.